The Volkswagen Jetta is a compact sedan that has been sold in the U.S. market since the 1980s. In other parts of the world, it's been dubbed the Bora. A redesigned Jetta arrived for the 2019 model year, and while its styling isn't dramatic, its underpinnings are a big step forward. In the past, the Jetta lineup has also included a two-door and a wagon. After a hiatus in 2015, the wagon, dubbed "SportWagen," was moved under the Golf nameplate for the 2016 model year. 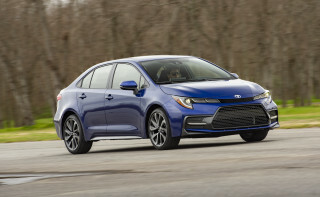 With the Jetta, VW has a rival for vehicles such as the Ford Focus, Chevy Cruze, Toyota Corolla, and Subaru Impreza. 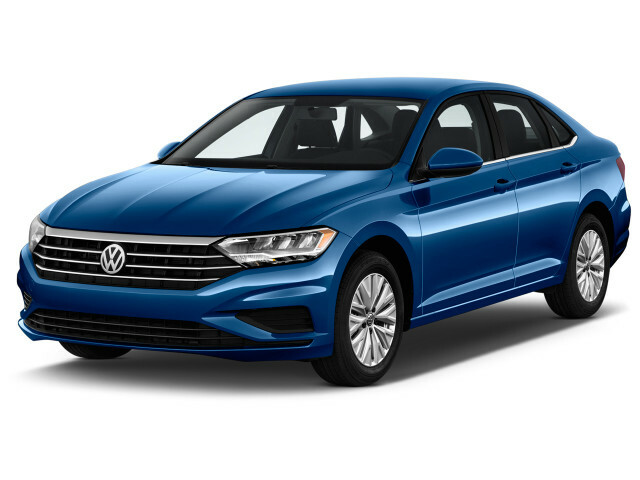 With the same underpinnings as the VW Golf, the redesigned 2019 VW Jetta delivers better handling, a quieter ride, and far more available safety features. It's not dramatically different in the looks department, but the new Jetta has some upscale touches inside and out. Its roofline is longer and slopes gently into a shorter decklid, while more chrome touches dress it up a bit. Inside, the Jetta's dash is edgy and less symmetrical than before. All models get touchscreen infotainment systems with Apple CarPlay and Android Auto compatibility, while higher-specification trim levels will be available with a "digital cockpit" that replaces the conventional gauge cluster with a wide, configurable LCD screen. That's a compact car-segment first, and it's paired with other premium features not offered in the outgoing Jetta like leather upholstery and cooled front seats. That equipment speaks to the automaker's upmarket aspirations for the latest generation of VW's compact four-door. Underneath, it uses VW's so-called MQB architecture, a scalable platform that underpins small cars sold elsewhere all the way up to the full-size VW Atlas SUV. In the Jetta, the setup is paired at least initially to a 1.4-liter turbo-4 rated at 147 horsepower and 184 pound-feet of torque. A 6-speed manual is standard, but an 8-speed automatic will undoubtedly be more popular with consumers. The Jetta is front-wheel drive. Additional versions with more power—and maybe even an electrified gas engine—are likely to follow. Don't look for a turbodiesel or a fully electric version, however. After VW's diesel debacle, the automaker is sticking to gas engines. And its own MEB platform will soon spawn a lineup of fully electric cars. The MQB platform with its longer wheelbase opens up more interior room, while a dashboard pushed forward gives the illusion of additional space. For nearly 40 years now, the Volkswagen Jetta has offered a classic sedan design and sporty German road manners and driving feel. These days, about the oldest models on used-car lots will be the third-generation cars that were launched in 1993. Smaller than today's Jetta sedan, they performed well and were a step up in refinement from earlier generations. The base engine (which amazingly is still in use today) was a 115-hp, 2.0-liter inline-4, but engines ranged all the way up to a 174-hp, 2.8-liter narrow-angle V-6 in the special VR6 models, which provided 0-60 mph times of less than seven seconds and authentic sport-sedan credentials. The fourth-generation Jetta, which appeared in 1999, shared underpinnings with both the Golf and the newly-launched New Beetle. A new 1.8T engine, the 1.8-liter turbo-4—originally rated at 150 hp, later upgraded to 180 hp—was more fun to drive than the base 2.0-liter inline-4 and got better real-world gas mileage to boot. The VR6 engine remained on the books, with power increased to 200 hp, but the 1.8T was a better bet, cheaper, less complex, and more popular. The 1999 car and its descendants were the first ones that really cemented the Jetta's reputation for first-class interior materials that outshone any other compact car. Some models of the fourth-generation Jetta suffer from reliability problems, though, so do your research carefully. The fifth-generation Jetta arrived for 2006, a larger car overall with staid styling that was a German hallmark at the time. The cabin was again a home for high-quality craftsmanship and materials, and the size increase also allowed for a real adult-sized rear seat. 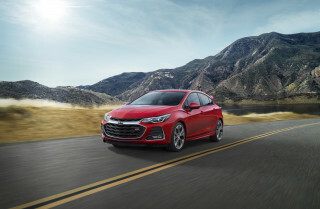 A 150-hp, 2.5-liter 5-cylinder became the base engine, providing more output but making little impact on performance or fuel economy, partly because it weighed more than the 2.0-liter. The inline-5 was helped by the 6-speed auto, with a comfortable freeway cruising attitude. Other changes to this generation also improved ride quality and overall refinement. Jetta wagons were offered in the fourth generation—from 2001 through 2005—and then re-introduced for 2009 onward. The wagon was a big seller when fitted with the TDI turbodiesel, which delivered a combined EPA fuel-efficiency rating above 30 mpg—owners often found that real-world mileage was considerably higher. The TDI was also available on the Jetta sedan as one of several engine options. Through 2006, the TDI was a 1.9-liter unit, and then it went on hiatus until 2009, when a new, 140-hp 2.0-liter TDI diesel returned to the lineup in both body styles. Its transmissions included a 6-speed manual and VW's superb 6-speed automated manual transmission. For 2011, Volkswagen replaced the Jetta sedan it had sold since 2006 with a new sixth-generation design—but carried over the smaller German-built SportWagen through the 2014 model year. The new Jetta sedan was lengthened for U.S. customers who demanded greater rear-seat space, and the underpowered base 2.0-liter inline-4 made a return. So did the torsion-beam rear axle from the 1980s and 1990s, letting VW offer a significantly cheaper base price on the simplest Jetta model—a car that very, very few buyers took home. The current generation of Jetta initially drew criticism for its hard-plastic interior and the painfully slow performance delivered by the base engine, though the GLI model that returned to the fold in 2012 solved both of those problems with its punchy 200-hp turbo-4 and a soft-plastic dash cap (for considerably more money). 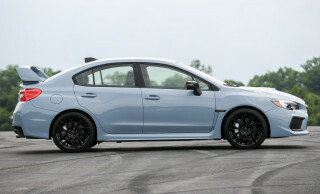 The nicer plastics and an independent suspension returned to most Jettas by the 2013 model year. For 2013, VW added a new model, the Jetta Hybrid, which brought a fifth engine (a 1.4-liter inline-4), a fourth transmission, and a new high-end model into the range. Its buyer research indicated that diesel buyers and hybrid shoppers were entirely different sets of people, who proved remarkably resistant to the idea of cross-shopping the other car. The Jetta Hybrid sedan returned an EPA combined gas-mileage rating around 45 mpg, just 10 percent shy of the Toyota Prius—and it's considerably more fun to drive. The sporty Jetta GLI model is fitted with a turbocharged 2.0-liter 4-cylinder engine that puts out 210 hp, along with the DSG plus a sportier suspension and upgrades to the tires, wheels, and interior trim. No Jetta has been offered with all-wheel drive—it's strictly a front-drive compact sedan. For 2015, the Jetta received another round of updates, including a new TDI turbodiesel engine with even higher fuel economy and a slight power boost. The car's revised front end is cleaner, and LED daytime running lights were available. Inside, the Jetta got a new steering wheel design, plus reorganized climate and audio controls. Most of the "two-point-slow" models were dropped and a 1.8-liter turbo-4 took its place. The last turbodiesel engine had an EPA estimated highway rating of 45 mpg, which nearly closes the gap between diesel- and hybrid-powertrain Jetta models. It’s also 3 miles per gallon better than the prior TDI version on the EPA's highway cycle. Safety was a big focus of the mid-cycle refresh. Because of ever-evolving crash-test procedures, cars like the Jetta are receiving structural reinforcements to improve their standing. Those updates have already earned the 2015 Jetta the coveted Top Safety Pick+ award from the IIHS as well as five stars overall from the NHTSA. 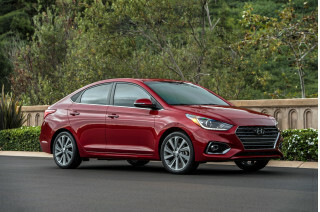 The 2015 model also receives some new safety options, such as blind-spot monitoring, a forward-collision warning system, and adaptive headlights that aim where you're steering. For the 2016 model year, the Jetta finally lost its base 2.0-liter 4-cylinder, in favor of a stronger and completely modern 1.4-liter turbo-4. Power is up from 115 to 150 horsepower, and the new engine was used for most models. The 1.4T engine comes with six trim levels spanning S. SE, and SEL. There's also a 1.8T Sport model, a Jetta GLI 2.0T high-end performance version, and the Jetta Hybrid as well. 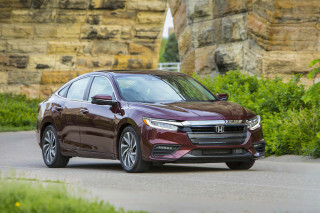 In 2017, the slow-selling hybrid was dumped and the model line streamlined. For 2018, the Jetta lineup gained new wheel and grille designs on most trim levels, a Wolfsburg Edition package joined the lineup, and the Jetta GLI lost its manual transmission. The 1.4 turbo is very fuel efficient. My 2017 manual Jetta - properly driven on a rural highway - has calculated over 50 MPG. Placing this power plant - with a 6M - in the spacious (aka capable), fun-to-drive... The 1.4 turbo is very fuel efficient. My 2017 manual Jetta - properly driven on a rural highway - has calculated over 50 MPG. I am understanding VW more and more and more.